Are you reading through Narnia this year? 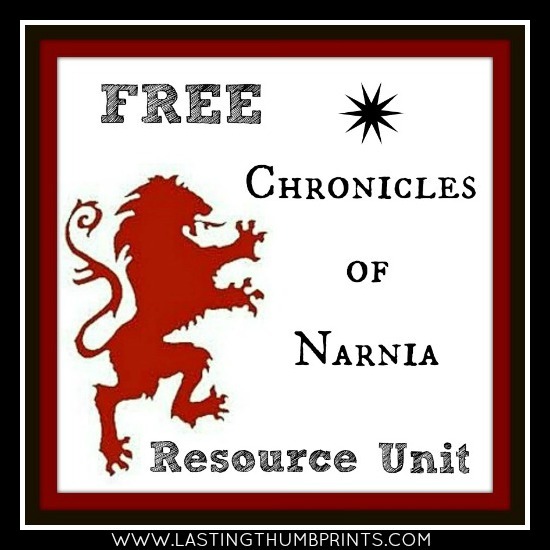 Here are free Chronicles of Narnia Resources for Your Homeschool. Educents.com is offering two homeschool freebies this week. You can get 5 Free Science Activity Videos + Guidebook, as well as Bringing Alliteration to Life for Young Children. Both of these freebies have a $10 value. You can download several sets of free Anatomy notebooking pages. There is a free 3-Year Bible Curriculum available that includes Old Testament Chronological Study, New Testament Chronological Study, and Value Keepers of the Bible. Teaching financial skills? Get free lessons, worksheets, quizzes, and tests for grades PreK-12 with these free personal finance lesson plans. 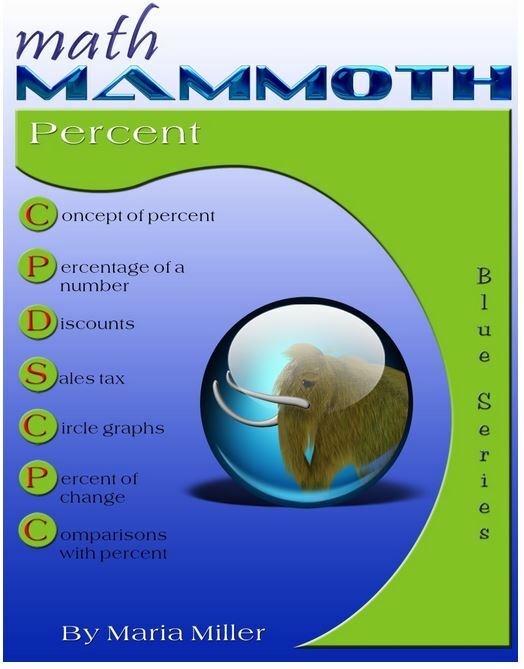 Free Homeschool Math Curriculum: Math Mammoth Percent (Grades 6-8). This is a limited time offer. This looks perfect for learning about the solar system. Save $4.50 and download free Lapbooking through the Solar System. Get a free Mr. Popper’s Penguins unit and lapbook printables at Homeschool Share. Download a Sharing the Gospel eLesson for free during the month of August. What a great idea for a family fun night! 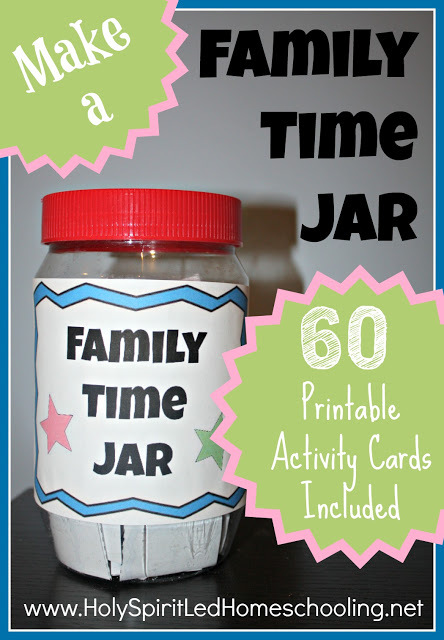 How to Make a Family Time Jar + 60 Free Printable Activity Cards Included. Through August 19, 2013, you can download a free Honing Your Study Skills Curriculum. This unit includes a 5-day Planning Guide, Related Reading List, 15 Hands-On Activities, an 11-page Research Guide, and an Answer Key. Get a Free Printable Writing Prompt from WriteShop during the month of August. Royal Baloo has new free printables based on Blueberries for Sal! Head over for a free Blueberries for Sal Worksheets Set. 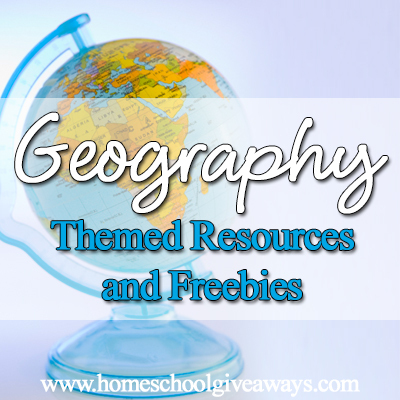 Here are Free Geography Themed Resources for Your Homeschool. Sign up for a free copy of the eBook Well Planned Homeschool – Avoiding Common Back-to-School Mistakes. Character Concepts is offering a free download of Schooltime Activities for Preschoolers. You can listen to free audio stories for kids at Storynory. The free audio stories include: classics, original stories, myths & legends, fairy tales, and more from around the world. Download a free “Now I Know My ABCs” printable checklist. Head over to Relentlessly Fun, Deceptively Educational to download these free United States Bingo game printables. The links to download the free game printables are at the end of the post. Jamerrill is the homeschooling mother of a large and growing family. 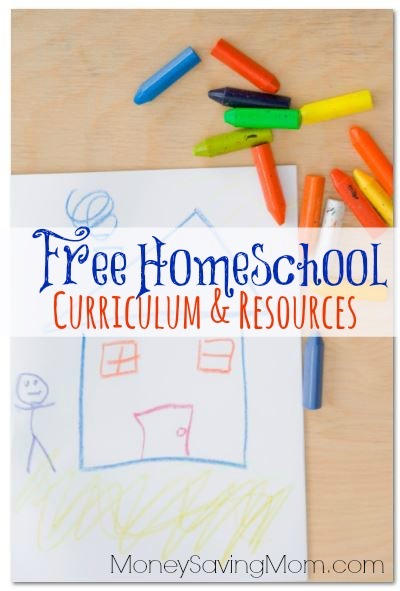 After seasons of spending $50 or less annually to homeschool her children, she started Free Homeschool Deals in 2012 to help all families afford the homeschool life. She also has community of encouragement for homeschool families at Holy Spirit-led Homeschooling. You can follow the homeschool goodness on Pinterest and Facebook. « Join me on August 22nd at 3:00pm EST for a Live Q&A on Google+! Thanks, MoneySavingMom, for featuring my site Relentlessly Fun, Deceptively Educational and the free US bingo printables I’m sharing. All of the games and activities I create are free of charge. I hope your followers will stop by often. I’ve got loads of ideas I’m gearing up to share as my son starts 3rd grade. You’ll find everything from Pre-K to 2nd grade activities – MANY language arts and math board/card games to print and play!